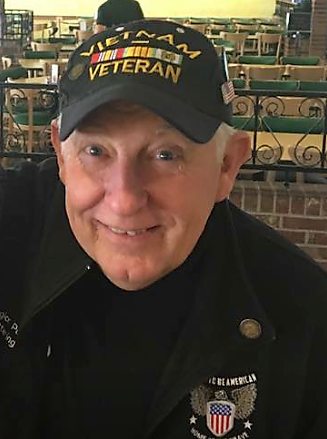 Joseph Oscar Wenzler, 69, of Centerville, Ohio passed on Sunday, September 9, 2018 at 5:30 a.m. at the Dayton VA Hospice, after a short battle with cancer. One of five children, he was born in Dayton, Ohio to the union of Joseph M. & Clara M. Wenzler on July 18, 1949. He entered into the Army on October 8, 1971 and served in the Vietnam War from July 24,1971 to March 27, 1972. He was a patriot through and through and loved this country like no one we have ever met. Joe very much enjoyed his years as a member of the Legion Post 598 and the friendships he made there. He never did win any of the drawings, but he still went in almost every single day to "sign in". He loved to be there with his veteran buddies. Joe leaves to cherish his memory two children, daughter, Juliet Wenzler and son, Joseph C. Wenzler; one granddaughter, Serena C. Wenzler, who was the light of his life; siblings, Joanne, Martha and Marty and their spouses who were all very close to our dad; Vi, Max, Ed and Dena; and a host of other family and friends. Although not married, Joe spent the last 14 years with Ethel Lange and leaves her and her family to cherish his memory, as well. Joe's oldest brother, Ron Wenzler, preceded him in death. The family will be having a private ceremony at the VA National Cemetery where Joe's cremains will be buried.